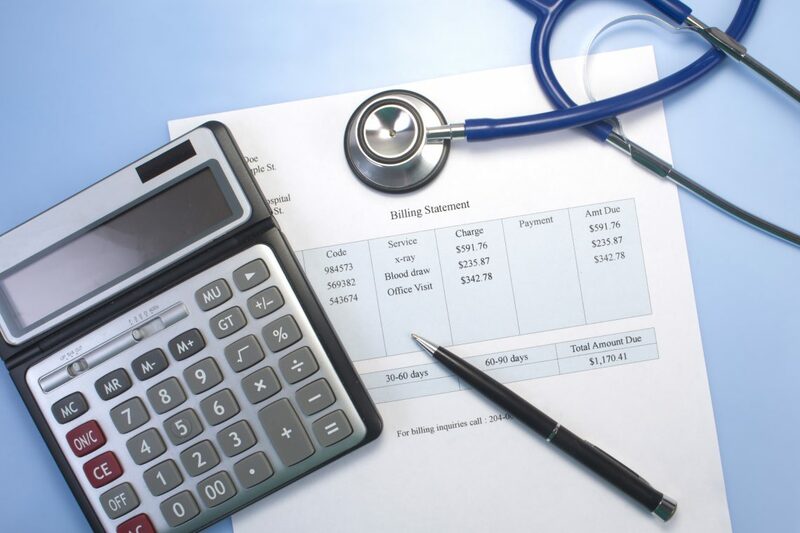 Medical Bill Financing Online: How Can Patient Lending Help Your Hospital? 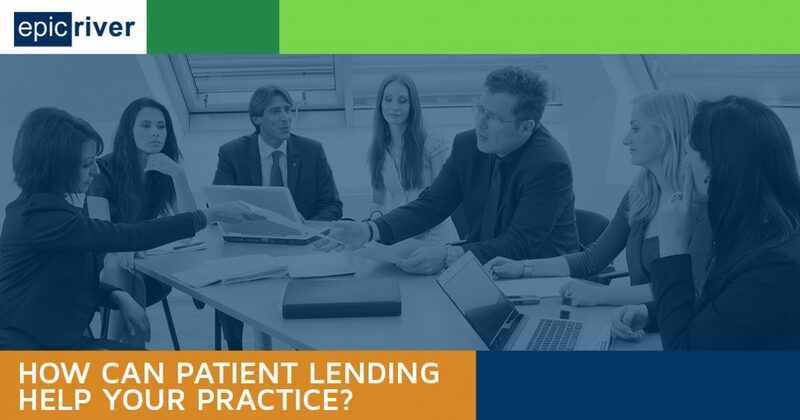 How Can Patient Lending Help Your Practice? As a medical provider, your number one concern is always that of patient health and safety. So what happens when outdated billing practices make it challenging for a patient to pay off their medical debt or worse, inadvertently prevents them from seeking the care that they need? In June 2017, the CDC reported that nearly 40 percent of Americans between 18 and 64 years old have a high-deductible health insurance plan, and that 15.5 percent of them reported difficulty paying their medical bills. It is an unfortunate fact that many individuals who seek care often can’t afford their out-of-pocket portion of the resulting bills because of these high deductibles. At Epic River, we offer a solution that offers patients an easy, fair way to pay off their medical loans while reducing your number of accounts receivable days. As we’ll review in today’s post, our patient lending solutions can benefit your healthcare facility in many ways, and program implementation is easier than you think! Contact our team today or request your free demo now! Patient responsibility is on the rise — in fact, a recent TransUnion Healthcare study notes an 11 percent increase in average out-of-pocket expenses for patients in 2017 alone. While many assume this is caused by patients who don’t carry health insurance, this is not the case. Often times, patients carry high-deductible plans that leave them footing the bill for much of their care until they meet their deductible. This can leave healthcare practices steeped in bad debt, forcing them to hire additional staff to handle collection on past due medical bills. When your facility partners with Epic River, you can rest assured that your facility will be paid up front and in full for its medical services. Did you know that more than half of Americans have received medical bills they cannot pay (Amino & Ipsos Public Affairs)? This could explain why the current 55 percent of uncollected patient responsibility documented by National Association of the Healthcare Access Management (NAHAM) is increasing annually. In fact, more than 50 percent of Americans have delayed paying their medical bills because of high-deductible insurance plans, leaving medical providers scrambling to recover payment for services they provided. When your facility has a high number of accounts receivable days, your cash flow is limited. This may lead you to look elsewhere for funds to keep the facility running smoothly. The Epic River Lending Program allows you to lower your accounts receivable days and increase your facility’s cash flow. In fact, some medical providers have lowered their Days in Accounts Receivable (DAR) by as much as eight to 10 days. It is not hard to imagine how quickly your cash flow will improve with our medical loan solutions. When a patient’s balance goes unpaid, efforts must be made to recover the funds that are owed to your practice. Some practices try to collect the payments on their own, and many choose to hire a third-party collection agency to track patients down and recover the debt. Not only is this expensive, inefficient, and potentially damaging to patient/provider relations, but there is still no guarantee of payment. Our patient lending program removes you from the collection process, transferring that duty to a financial institution highly skilled in recovering debt. Providing your patients with the best medical care starts with a staff of medical professionals who are passionate about their work. Your staff is dedicated to treating patients to the best of its ability, and each member likely lives by the professional mantra of doing no harm to patients. Yet, many providers struggle with the financial harm that necessary medical treatment can place on a patient. Based on recent case studies, many healthcare employees reported increased satisfaction as a result of having a realistic financial solution for a patient that prevents financial harm. Is your practice searching for ways to reduce accounts receivable days and remove itself from the collection process? Are you looking for innovative ways to ensure patients pursue the care they need without suffering undue financial harm? If so, then Epic River is here to help. Our patient lending solutions empower patients to secure medical loans for their healthcare expenses, allowing them to escape the burden of medical debt. No credit check is required, there is no prepayment penalty, and the patient’s medical loan comes with a fair, unchanging interest rate. Contact our team today to learn more about our financial solutions for practices and patients or book your demo online now. We can’t wait to help you – and your patients!